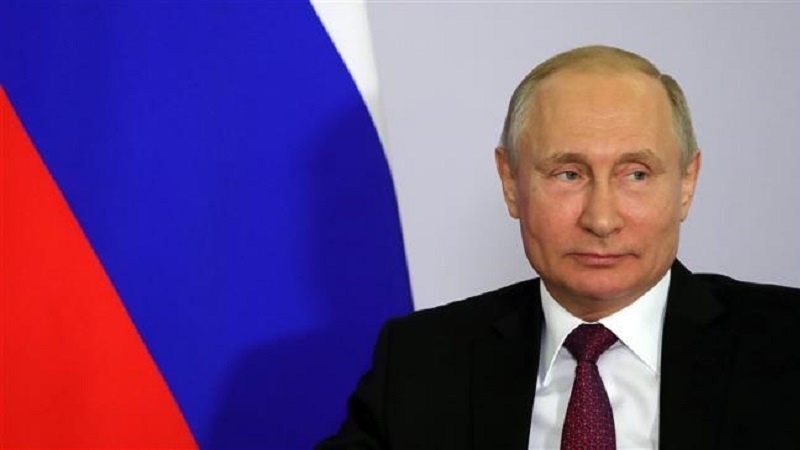 Russian President Vladimir Putin says the United States will have to give North Korea solid security guarantees if it aims to seal a denuclearization deal with Pyongyang, less than a week before US President Donald Trump will likely to meet with the North’s Leader Kim Jong-un. According to Press TV, in an interview with a Chinese state broadcaster aired on Wednesday, the Russian leader praised Kim’s “unprecedented” steps toward resolving tensions on the Korean Peninsula, including the suspension of nuclear and ballistic missile tests and the demolition of the country’s sole known nuclear test site, as significant displays of goodwill. Putin also hailed Trump for his “courageous and mature” decision to meet with Kim; however, he stressed that Pyongyang would want to receive “absolute security guarantees” to discard its nuclear program. There was no comment from Pyongyang on Putin’s remarks. Both Trump and his National Security Adviser, John Bolton, have previously referred to Libya while speaking of North Korea. In December 2003, the then-Libyan ruler Muammar Gaddafi reached an agreement with the US to surrender Libya’s nuclear weapons program in return for the lifting of US sanctions. But the Gaddafi regime was overthrown some eight years later by armed militants receiving aerial cover from NATO, including the US. Gaddafi was injured when his convoy was tracked and targeted by NATO warplanes. Militants, tipped off by the Western military alliance, soon arrived, brutally killing the Libyan ruler. Bolton has said previously that North Korea could strike a deal with the US using the “Libya model.” While he meant that Pyongyang could receive sanctions relief in return for ending its nuclear program, he evoked Gaddafi’s ultimate fate. Trump, too, formerly suggested that the North Korean government could be “decimated” Libyan-style if it did not make a deal with the US. The White House, however, later downplayed the Libya comments. In early 2003, the US, backed by the UK, also invaded Iraq under the pretext that the regime of former Iraqi dictator Saddam Hussein possessed weapons of mass destruction. No such weapons, however, were ever found in Iraq. The invasion plunged Iraq into chaos, resulting in years of deadly violence and the rise of terrorist groups like Daesh, while leaving more than one million Iraqis dead. Elsewhere in his remarks, Putin expressed hope that the landmark meeting between Trump and Kim would bring positive results, but voiced regret that the US and South Korea still continued their controversial military drills near North Korea despite Pyongyang’s acts of goodwill.